Here are a few thoughts on success that you’re NOT likely to hear anywhere else. These ideas might seem strange at first, but if you take them to heart, I believe you will be more successful in some of the most important roles in your life. However, these thoughts on success are definitely counter intuitive and might feel strange at first; maybe even a bit shocking. Coaching a swim team is no small task. For one, the team is almost 180 swimmers strong. From 8 AM to 11 AM five days a week, we conduct five separate practices at two different pools for swimmers ages 4 through 18. Additionally, we have weekly swim meets on Thursday evenings; warm ups start at 5 PM and most meets run well past 11 PM. And I didn’t mention all the behind-the-scenes work of seeding meets, seeding relays, exchanging rosters, communicating with almost 100 families, etc. The logistical activities associated with coaching a swim team are as time consuming as the practices and swim meets. Bottom line, during the summer, not only am I trying to run and grow my business, I literally have an additional full-time job coaching a swim team (most weeks I spend 35-40 hours on swim team activities). A lot of people talk about 80-hour work weeks; but for 10-12 weeks every summer I actually live those hours. Most personal development and leadership blogs that share thoughts on success champion the concept of “balance.” What’s more, finding balance in life and work is definitely a critical success factor. But I have come to believe that there are times when striving for perfect balance actually keeps people from experiencing a higher level of success. Yes, you read that right…I believe there are times when attempts to achieve balance actually keeps us from experiencing true success. I know this might sound a bit controversial since there are not many experts sharing thoughts on success about how to be out of balanced, but read on and see if you can embrace my line of thinking. My summer is anything but balanced. I work…and I work a lot! However, even though I give almost all my waking hours to work, summer is a season when my priorities are very balanced and I experience some of my greatest successes. Again, I know this sounds strange since, at first glance, my life seems so out of balance during this season. Yet, in reality, while my pace is out of balance (and could not be maintained long term), my investment in my most important roles is very balanced! To help you understand better, here are 5 reason why I believe it’s okay for me to be super busy and out of balance during the summer. I hope these thoughts on success will help you the next time you face a super busy season. 1. Yes, I’m super busy and out of balance during the summer, but my family is included in what I do with swim team. For the past five years, all three of my kids have swam on the team I coach. This season, my 16 year old son retired from swim team and is working as a lifeguard, but my twin daughters continue to swim for the team. Additionally, my daughters volunteer as captains for the team, which mean they help me and the assistant coaches during the practices for the younger age groups, as well as during the swim meets. Because of swim team, I actually spend MORE time with my kids during the summer, not less. 2. Yes, I’m super busy and out of balance during the summer, but swim team gives me more time for personal development in the area of physical fitness. I can dedicate more time to running during the summer because I get several runs in before practice, and then I run a few extra miles with our high school swimmers (running is part of what we call “dry land” conditioning). What’s more, I get in the water at least two or three times a week and swim a couple of 1000 yards with the team. 3. Yes, I’m super busy and out of balance during the summer, but swim team gives me an excellent opportunity to serve my community. One of the things I love best about coaching swim team is that all 180 swimmers live within a few miles of our primary pool, and that pool just happens to be in the neighborhood I live in. Even more, all the swimmers who swim for me are part of the same elementary school, middle school, and high school cluster. What this means is that the families who have swimmers on our team are truly neighbors. Kathy and I rub shoulders with these families throughout the year, and I can’t think of a better way to serve my immediate community than by investing in the lives of so many families. 4. Yes, I’m super busy and out of balance during the summer, but swim team enhances my business. The largest revenue stream for my business is speaking. I give a lot of keynote and workshop presentations at conferences hosted by organizations such as FBLA, FCCLA, Student Council, and GEAR Up. When event planners find out that I am not just a motivational speaker, but that I actually work with young people, they are much more likely to hire me. What’s more, when speaking to youth audiences, many of my most hilarious and powerful illustrations come from my experience as a swim coach. 5. Yes, I’m super busy and out of balance during the summer, but I am passionate about investing my life in the lives of young people and their families. How many 40+ year old guys get to spend a couple of months fully engaged in a hobby they love (i.e. swimming) and have a chance to influence a group of people they value so highly (i.e. young people)? My favorite part of coaching is positively pushing swimmers to be the best they can be. I don’t care if a swimmer is one of the best swimmers on the team or is one who is struggling getting the basic strokes down—if the individual is giving me his or her best effort, I love helping that person take steps to improve. I believe helping kids improve and succeed in something as basic as swimming gives them confidence to improve and succeed in other, more important areas of life. That’s why I love coaching so much! I’m passionate about investing in the development of young people and their families!! 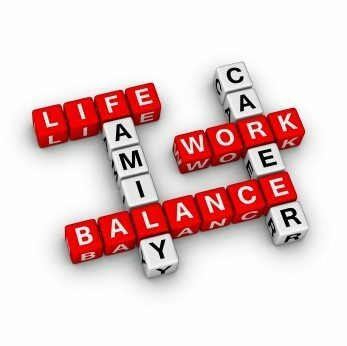 NOTICE: The reason being super busy and out of balance during the summer leads to great success for me is that while I might be out of balance in how much time I give to working, I am very balanced in 4 of the 5 major roles of my life. As demonstrated in this post, coaching swim teams allows me to invest significantly in four of the five major roles in my life. To me, that’s balance, and that’s why it’s okay to be super busy and out of balance during the summer. Thoughts On Success – Is Serving Your Community Really Worth It?